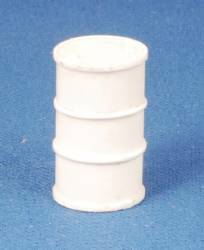 28mm scale - contains 2 55 Gal. Oil Drums. These are made of resin and come unpainted. 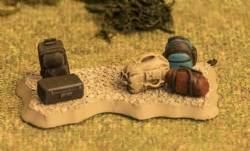 28mm scale - Contains two different boxes on pallets. Resin cast. Does not come painted. 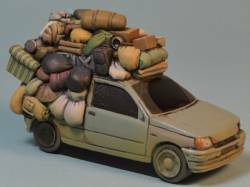 28mm scale - luggage contains five types of luggage. These items are cast in resin and do not come painted. 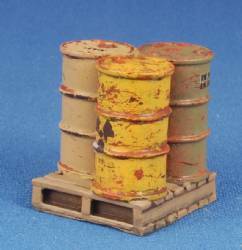 28mm scale - Contains one pallet with oil drums cast in resin. Does not come painted. No assembly required. 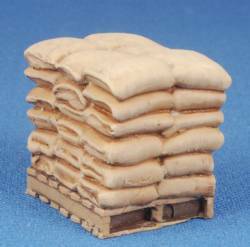 28mm scale - contains one pallet with sacks of grain. Resin cast, no assembly required and does not come painted. 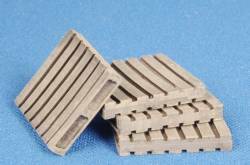 28mm scale - empty pallets. You get four empty pallets in this pack. They come unpainted. No assembly is required. They are cast in metal.